Issued at 11:00 am Tuesday, 12 February 2019. DAMAGING WINDS, averaging 60 to 70 km/h with peak gusts in excess of 90 km/h are expected along parts of the southern ranges until the evening. 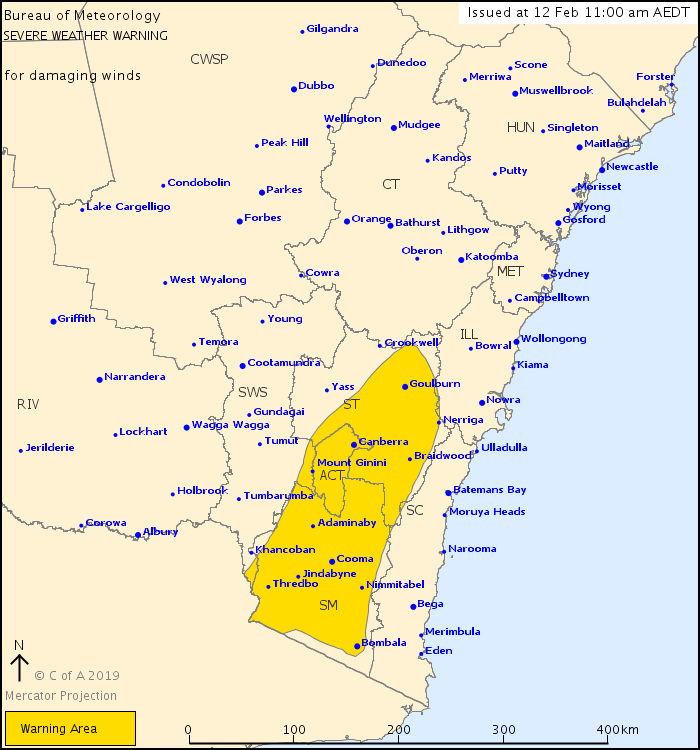 DAMAGING WINDS, averaging 80 to 100 km/h with peak gusts in excess of 120 km/h are expected until the evening. Thredbo observed a mean wind of 94 km/h gusting to 124 km/h at 9:30am.